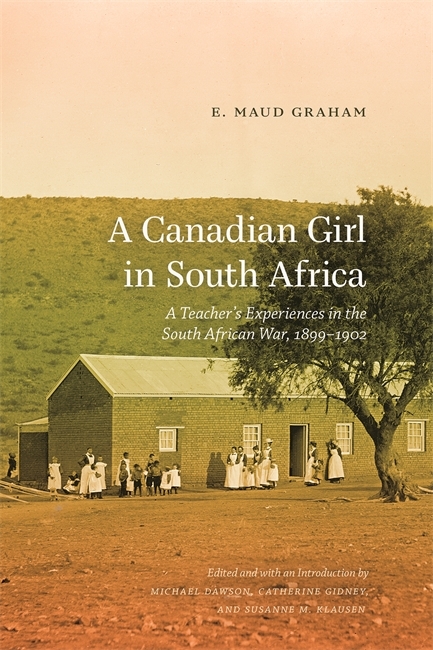 E. Maud Graham (1876–1949) graduated from the University of Toronto in 1896, and taught in a variety of settings before becoming principal of the High School for Girls in Quebec City in 1907. Catherine Gidney is Adjunct Professor of History at St. Thomas University. Michael Dawson is Professor of History at St. Thomas University. Both live in Fredericton. Susanne M. Klausen is Associate Professor in History at Carleton University, and Honorary Research Fellow in the Department of Historical Studies, University of Johannesburg. She lives in Ottawa. This is a contemporary presentation of a historic document with graceful typographical details. The full bleed archival images and unexpected treatment of page numbers and running shoulders, though unusual for a travel memoir, add to its interest. The consistent use of the grid is satisfying. This book is recommended for those who wish to learn more about South African history and early race relations or tensions. Graham’s opinionated writing will amuse and interest those researching women’s studies.